Mother’s Day is a joyful time for many people to celebrate and thank mothers for their sacrifices and love. Not everyone is happy on Mother’s Day. The joyful Facebook posts and positive media messages deepen the feelings of loss for some people. For those who have lost their moms, who have no relationship with their moms, or for moms who have lost or are estranged from their children, Mother’s Day is a difficult holiday. Parent-child relationships are not perfect, and you are not alone in being estranged. Savor the fond memories, and forgive the not-so-fond ones. For anyone dreading this holiday, remember to care for yourself and plan something to give you enjoyment and peace. If you need support in dealing with emotions related to this or any other issue, Counseling & Recovery Services is here to help. 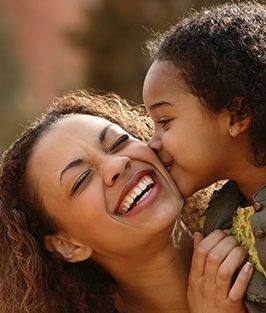 For people celebrating Mother’s Day, all of us at Counseling & Recovery Services wish you joy and success in honoring the moms in your life.